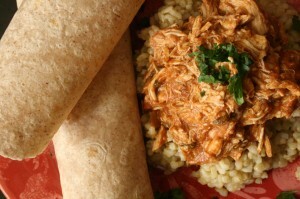 Slow Cooker Salsa Chicken - Kosher In The Kitch! Slow Cooker Salsa Chicken - Kosher In The Kitch! I’m a hungry mama and winter definitely brings more cravings than my pregnancy did! When it’s cold out, and I’m inside trying to stay warm my body screams for tasty comforting dishes to help fight the winter blues. Creamy Mac and Cheese and Tuna Casserole are just a few of the dishes I have been making in my search for the ultimate comfort food. This recipe for slow cooker Salsa Chicken not only fits the list, it’s also super easy to whip up. I usually reserve my slow cooker for Shabbat cholent, however I decided to bring it out before the weekend for some easy week night cooking. Place the chicken in the slow cooker. Add the remaining ingredients and mix well. Cook on low for 6 hours. 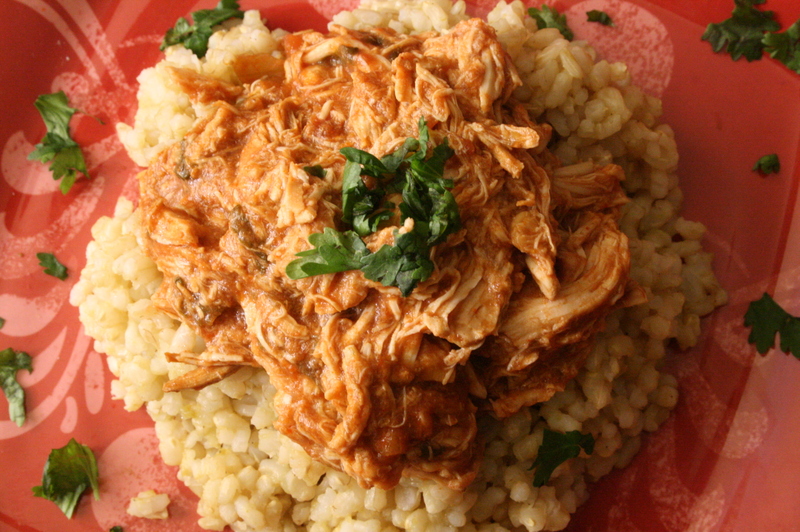 Once cooked, remove chicken and shred into pieces with a fork. Serve over rice with salsa mixture on top. You can also serve the chicken in tortillas or hard tacos with guacamole. I make the same thing but I add a can of black beans and corn-so yummy!! !